"REDMOND, Wash.--(BUSINESS WIRE)--Whether they were on the go or at home, whether they played in 2D on the TV or in glasses-free 3D in their hands, gamers of all ages celebrated the holidays with Mario™ and Zelda™. Super Mario 3D Land™ and Mario Kart™ 7 for the Nintendo 3DS™ system not only became the fastest-selling titles in the history of their respective franchises when they launched, but they are now also the first Nintendo 3DS titles to sell 1 million units each in the United States. On the console side, The Legend of Zelda™: Skyward Sword, which also broke launch records, became the 45th Wii™ title to sell more than 1 million units in the United States. Nintendo sold more than 12 million total hardware units in the United States in 2011, marking the fifth year in a row that the company has accomplished that feat. This includes more than 4.5 million units of Wii, more than 4 million Nintendo 3DS systems, and more than 3.4 million units of the Nintendo DS™ family of systems. This brings the installed base for Wii and Nintendo DS to 39 million and more than 51 million, respectively. With a strong lineup of software on the horizon, including new installments in the Mario Party™, Pokémon™ and Kid Icarus™ franchises, as well as third-party games such as Resident Evil® Revelations from Capcom and METAL GEAR SOLID® 3D Snake Eater from Konami for Nintendo 3DS, that momentum should continue into the first quarter of 2012 and beyond. In addition to the milestones reached by new software, two evergreen Nintendo titles celebrated milestones as 2011 drew to a close. Mario Kart Wii™ passed 11 million units sold and New Super Mario Bros.™ for the Nintendo DS family crossed 10 million total units sold." 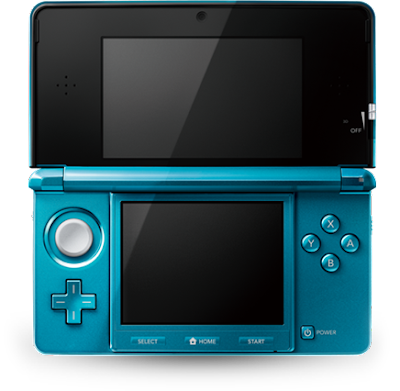 Amazing news for the 3DS. This was good of Nintendo to get this info out to the public as soon as possible to make sure that the perception remains stronger for the system here on out. Vita is dead the games arn't much and the video playbk is rubbish compared to 3DS and the camera on 3DS takes miles more detailed pics as shown on most sites.